Is there a better alternative to SketchMee Pro? 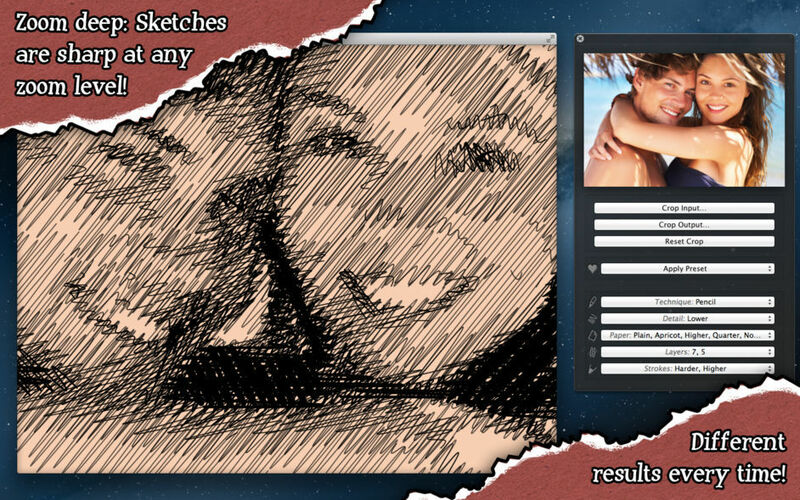 Is SketchMee Pro really the best app in Image Editing category? Will SketchMee Pro work good on macOS 10.13.4? 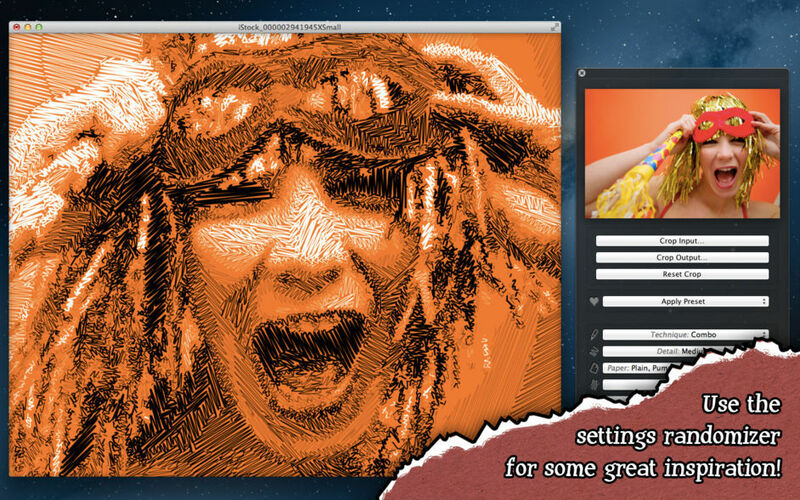 SketchMee Pro is the most advanced automatic pencil sketch generator in the world, but very easy to use and super fast. Note: If you don't require the pro features listed at the end, get the basic version instead (SketchMee) as it's considerably lower priced! The successful SketchMee apps for iPhone and iPad have redefined what's possible to achieve in computer generated art with just a few taps, leaving even desktop computer software behind. Until now, that is. 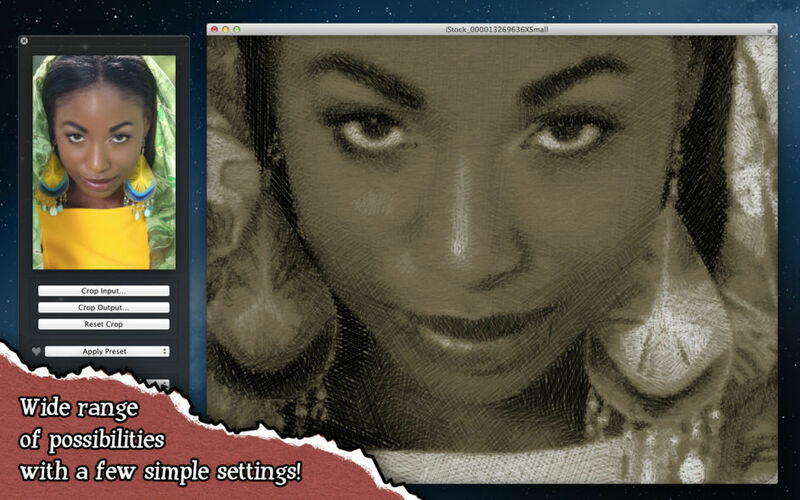 SketchMee on a Mac brings the technology to a whole new level. The extra processing power enables the algorithms to shift into higher gears and generate new and incredible results. What's become possible has surprised ourselves during development! 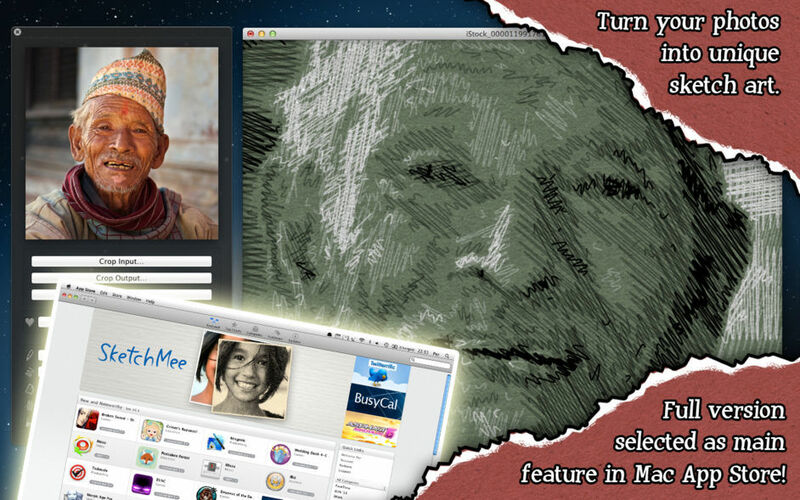 The SketchMee apps are only available for Mac, iPad and iPhone, and only on the App Store. All you need to do is to open an image file. It is then automatically processed with the great default settings. Then just save the result! The somewhat more advanced user may want to change some settings in the control panel. A small number of well balanced, very powerful controls are available for you to try out. And should you ever get lost, you can always restore the defaults settings. If you want to use only a part the input image, just click "Crop Input…", select a width-to-height ratio, zoom, pan, and crop. Reset crop at any time to restore the original input image. Regardless of the size of your input image, your sketch can be saved as a 128 megapixel, perfectly sharp, high quality image, fit for any use. Even if you crop your sketch heavily (click "Crop Output…"), you can save the remaining sketch fragment as a sharp, full resolution, 128 megapixel image. PDF export. World unique feature: export infinite resolution vector sketches! Fully editable in vector drawing applications like Adobe Illustrator. PNG export. Perfect quality, losslessly compressed images. Export only the strokes, using transparent "paper" (for PNG and PDF). 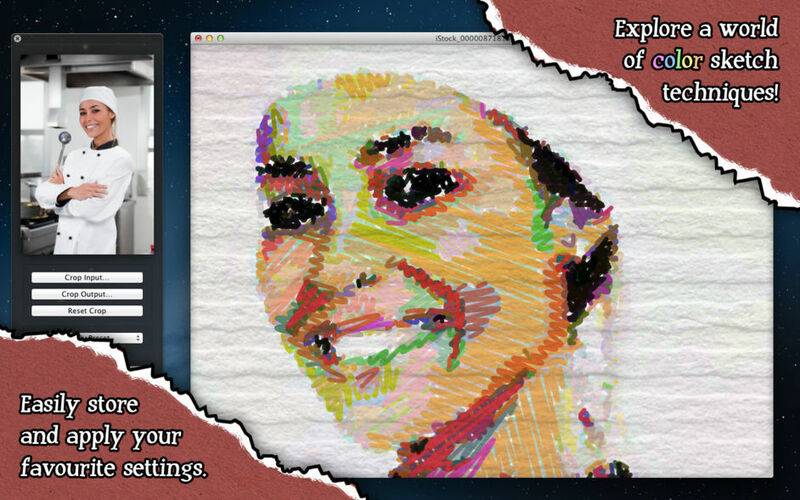 Dramatically simplifies overlaying sketches onto your own backgrounds after export. Adds "Highest" to the "Detail" menu. Enables a mode of extremely high sketch detail. Adds "Hardest" to the grayscale "Stroke Style" menu. This mode guarantees every stroke to be purely black or white. Useful for example when exported as PDF and reproduced on systems without grayscale capabilities. A future update will also enable a layered bitmap export feature!